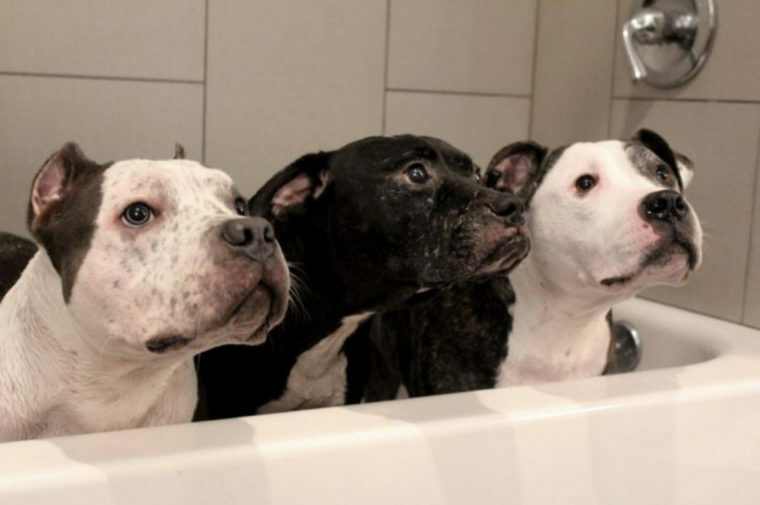 Every day thousands of animals face the torments of fighting and excessive dog breeding. 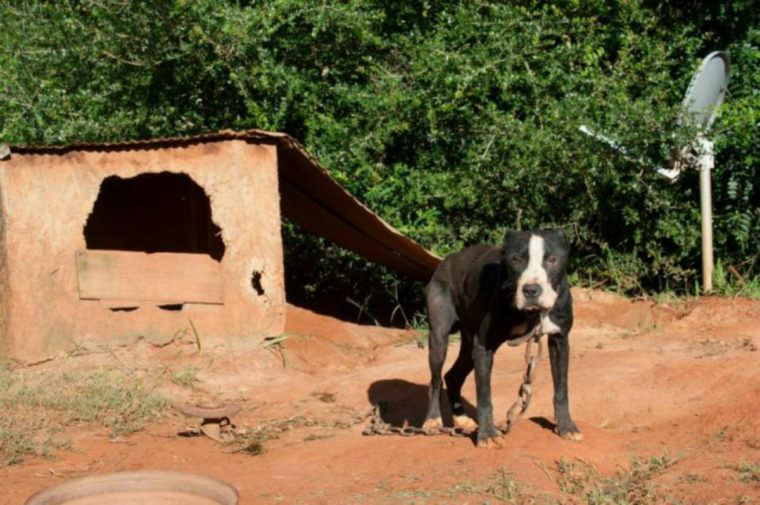 These dogs live deprived of their freedom, chained in tiny spaces and exposed to severe weather conditions. 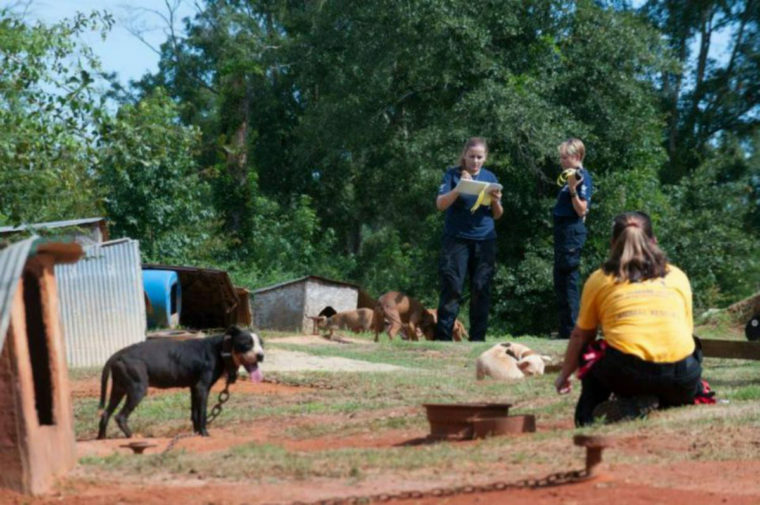 Recently, in the United States, some dogs were rescued from these deplorable situations. According to the Humane Society of the United States (HSUS), they had parasites, vitamin deficiencies and several serious injuries. Local police started an investigation three years ago and after much effort managed to rescue these dogs, with the help of the ASPCA. 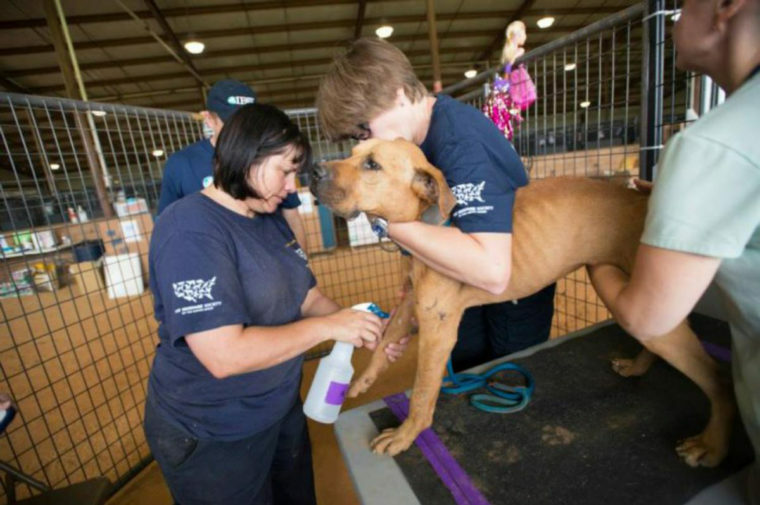 After the rescue, all were transferred to shelters operated by HSUS and ASPCA, where they began to recover. 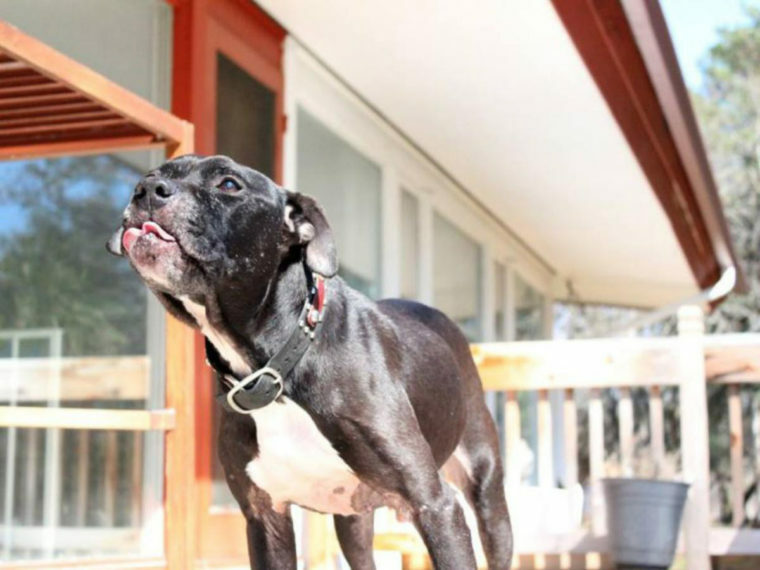 His teeth were damaged, a very common feature of dogs who are forced to fight. 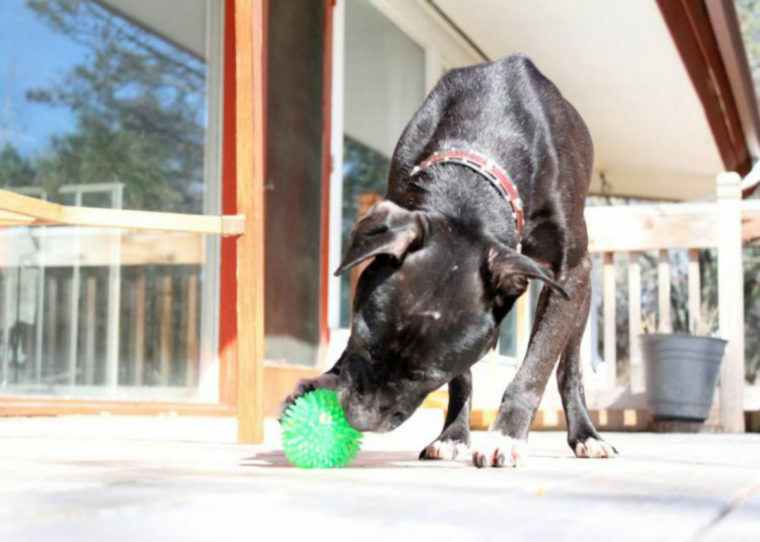 After Evan was rescued, his foster family took him to the vet so his teeth could be removed. In addition, the allergies that affected the skin were controlled by diet, bathing and medication. First, the pup spent a few days with the Malecek family. However, as they were moving, the puppy was re-routed to another home. There, he had to stay away from the rest of the pets in the house: a Pit Bull named Emmet and a Dachshtund named Penelope. However, within three months he joined the group. Fortunately, the Malecek’s settled down and Evan was able to return home. Now, Evan spends time with both families. They decided to share custody, because they all love him too much. Evan is proof that dogs subjected to fight against their will, are not lost cases… When there are gentle people willing to help, even better!